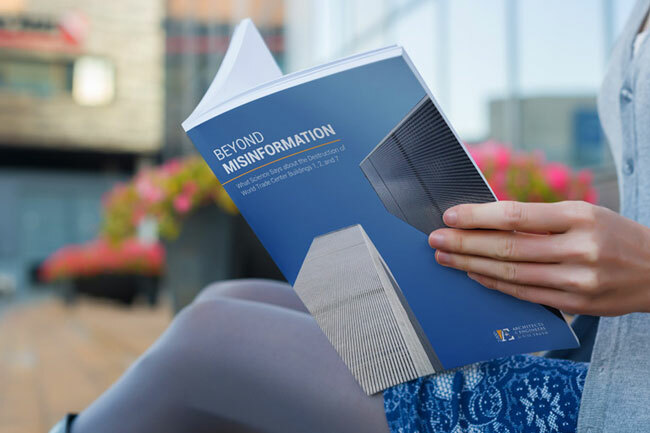 An Up Close Look at “Beyond Misinformation"
Help Us Fund 5,000 More Copies and Claim Yours Today! 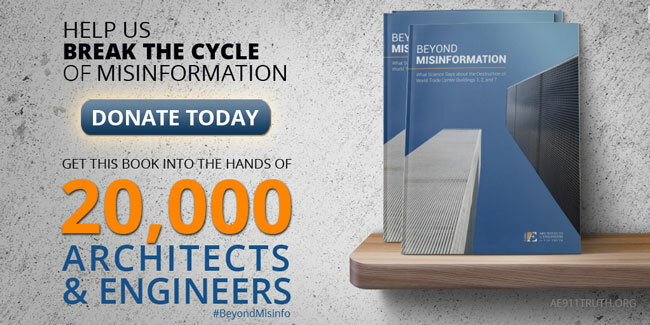 For the past 12 days we’ve been collecting donations so that we can mail 20,000 architects and engineers our new guide to the WTC evidence this September. Each supporter who donates $30 or more ($35 for non-U.S. residents) receives their own copy in the mail and enables us to reach at least another 12 architects and engineers. And so far, we’ve raised three-quarters of our $50,000 goal! That’s a whopping 15,000 architects and engineers who will be introduced to the evidence. They will also learn about us and our unrelenting, organized effort to end the A/E community’s complicity in the official account of 9/11. After reading our booklet, many of them will be encouraged to join us. Now we’re entering the home stretch. If you haven’t already, we’re hoping that you will chip in today to help us reach 5,000 more architects and engineers. Any amount is greatly appreciated, but with a donation of $30 or more we can afford to send you your own booklet to share with your friends and family. What do you say?! Like David Ray Griffin’s landmark book, The Mysterious Collapse of World Trade Center 7, and Richard Gage’s 9/11: Blueprint for Truth presentation, it will highlight various principles of the scientific method in order to critique the official investigations and guide readers through all of the evidence that they must take into account before reaching their own conclusions about which hypothesis is most consistent with the evidence. 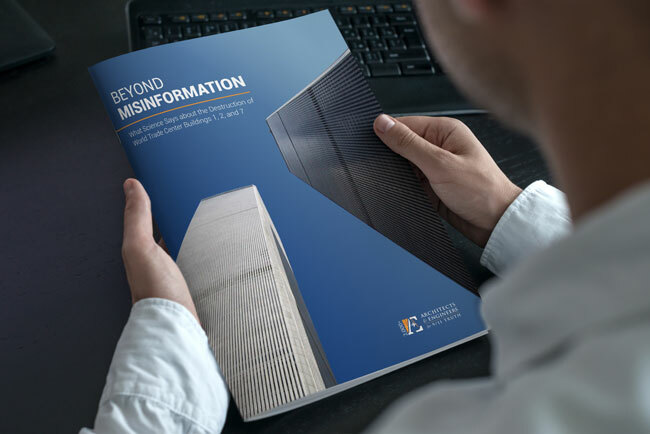 It will encourage readers to study the official reports and the many papers written by 9/11 researchers that will be referenced in the booklet. It will be chock-full of the most accurate information and photos illustrating the WTC evidence. It will present the evidence in an even-handed, unbiased tone likely to make even the most unwilling readers pay serious attention. Among the 20,000 recipients will be all 250 employees, contractors, and contributors who worked on the NIST and FEMA reports, as well as the national and local leadership of several institutions including the American Institute of Architects (AIA) and the American Society of Civil Engineers (ASCE). 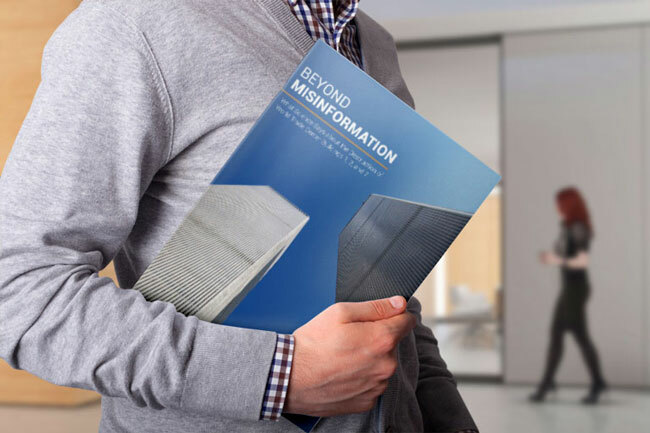 We are mailing our booklet to these individuals because they need to know that we will not give up until the truth about the WTC destruction is known by the entire architecture and engineering professions. Their best choice is to join us and help accelerate this process. Thanks for your generous support and your belief in what we do. We couldn’t do it without you!